John reveals the unique secrets that came to light during his life changing discovery into the world of a successful relationship and selecting a life mate successfully. He identifies secrets to having a Happy, Loving, Long Term Relationship with a person who could also become your best friend. As children we learn that trying to put a square object in a round hole of the same size will never work. A piece of the wrong shape and description just will not fit together, even if we try to force it. When we pause, and analyze what works, what does not work and why, we begin to assemble the pieces in perfect harmony. Anticipating that the same can be applied to human relationships, John sets out to track down and understand the secret formula that only a few people know and reveals it within. 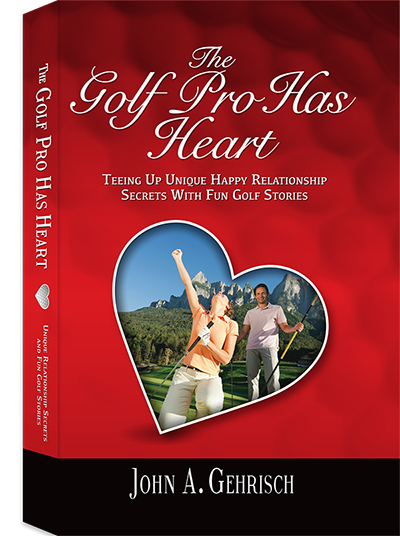 Having played Tour Golf, John includes some fun golf stories of his experiences with other Tour Champions like Jack Nicklaus, Billy Casper, Butch Baird, Gary Player, Bill Johnston, Shelley Hamlin, and others, making it an interesting read for golfers and non-golfers alike.